The Grays were the most unexpected “supergroup” of the 90’s. Unexpected because, well, none of them were at all famous at the time of the recording. And, to be completely truthful, none of them are that famous even today. Jon Brion is the most well-known of The Grays’, having established himself as not only a successful pop producer (contributing to the likes of Aimee Mann, Fiona Apple, the Crystal Method, and even Kanye West), but also as a film score composer (for films like Magnolia, Punch Drunk Love, Eternal Sunshine of the Spotless Mind and I [Heart] Huckabees), and (to a lesser extent) as a pop artist himself. But the Grays aren’t about one person, and by no means is their sound the result of one musician. The second most currently established former member of the band is Jason Falkner. Falkner, while taking a path similar to that of Mr. Brion, is now more renowned as an ace studio musician in addition to his output as a leader. While not as recognized in his home country for his solo work, he is quite established abroad as a pop singer, having released over 6 records in the last 15 years. The third “leg” of the grays was Buddy Judge, a singer/songwriter whose own wave of success has largely been boosted by help from both formerly mentioned artists. The forming of the Grays was essentially about three singer/songwriters in LA, frustrated with their previous exploits and failed bands, hoping to form a “more perfect union.” They hoped to form a group where everyone’s submissions and contributions were treated equally, a sort of democratic enclave within what was a highly feudal musical society. A noble idea, no doubt, and one that did actually work, for a brief period. In the recruitment of their friend Dan McCarroll on drums, the Grays set out to evenly split their album into 4 original songs each. In the end, Falkner got a fifth, and 13 tracks were presented as 1994’s Ro Sham Bo. The opening track, Falkner’s “Very Best Years,” is as illustrative of the guitarist’s style as you will find. In hindsight, it really epitomizes 90’s pop/alternative rock (so if you have any friends who are obsessed with 90’s era radio, this will most likely strike their fancy), but despite its retrospectively typical sound, at the time it was quite a new style. I mean, essentially we are dealing with studio legends on this album, so it is no surprise to hear that they were one step ahead of everyone else. This studio-friendly sound really rings true on Buddy Judge’s debut track, “Everybody’s World.” The first minute and thirty seconds act as an exposé of the band’s talent in the studio. It is actually kind of creepy listening to today, to think that such a well-written, expertly produced and radio-friendly album could be so under the radar and then go out of print, and still, to this day, be relatively unknown. But as well-intentioned as the Grays were, they were also essentially doomed from the start. Having three massively talented musicians trying to form a band that is completely democratic in nature is extremely oxymoronic. And for listeners, the seams show. Falkner, Judge, and Brion may all be coming from similar places and striving for similar sounds, but stacked side by side they couldn’t sound more different. Judge clearly is the weakest writer: his songs stand out the least on the album and ultimately act as fillers. Contrastingly, Falkner has an incredible knack for writing verse hooks and melodies, and his voice is certainly the strongest of the three, but his ability to string together entire well-rounded songs is lacking, and thus his input suffers. 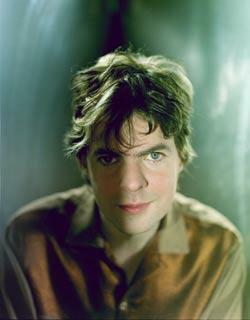 Jon Brion is not only the most talented member of the Grays, but he also is the most devoted to their concept. His first track on the album, “The Same Thing,” features verses and choruses sung by himself, but a bridge sung by Falkner, a guitar solo by Falkner, and even a curious little drum interlude by McCarroll. Not only are Brion’s songs the best on the album, but they’re also the most unconventional, which on an album like this is far more of a blessing than a curse. Even when taking a step away from conventionality doesn’t workout as planned, it ends up leaving a stronger mark when the album is all said and done. Like its finest parts, I like to treat this album as a deviation from what it was supposed to be. Think of it as a compilation: “Where were they then? Works by three of the last decade’s best pop producers/songwriters.” The album sounds a lot better this way, and it will make a lot more sense. This entry was posted on Monday, October 19th, 2009 at 2:14 pm	and tagged with Jason Falkner, Jon Brion, The Grays and posted in 90's, A to Z, Audio, Pop, Rock. You can follow any responses to this entry through the RSS 2.0 feed. 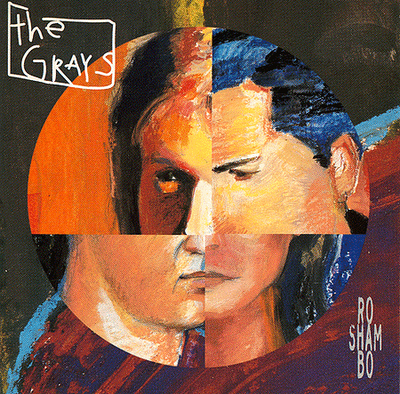 Check out a podcast review of Ro Sham Bo by The Grays on Dig Me Out at digmeoutpodcast.com, a weekly podcast dedicated to reviewing lost and forgotten rock of the 90s. Well said but I liked Buddy’s songs best. Writing lots of Grays things this week at YerDoinGreat.wordpress.com. Enjoy.